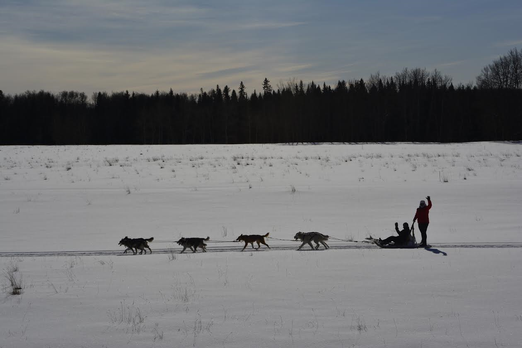 WINTER, DOGS AND SLEDS ... A GREAT COMBO!! "Have you known the Great White Silence, not a snow-gemmed twig a quiver? Mushed your huskies up the river? Then harken to the wild it's calling you." Have you ever wondered about the wild in winter ... the words of Robert Service stirs up images of cool, clean, crisp snow and adventure in river valleys and along forested trails. 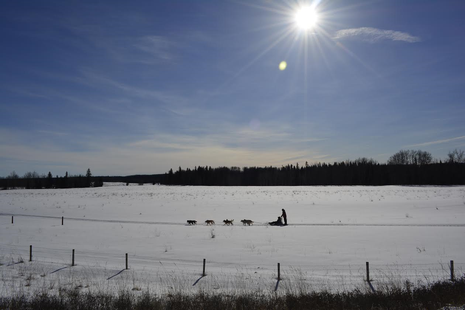 Have you ever wondered about how you could enjoy Alberta's winter wonderland with safety and comfort? 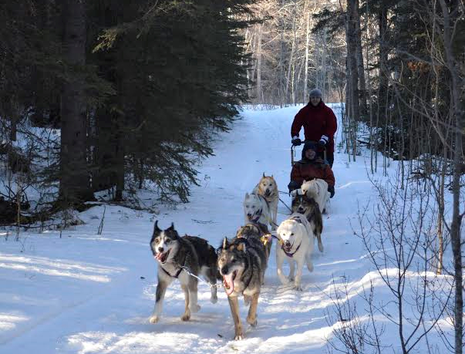 Experience the joy and wonderment of winter by joining Klondike Ventures for a Dog Sledding experience. 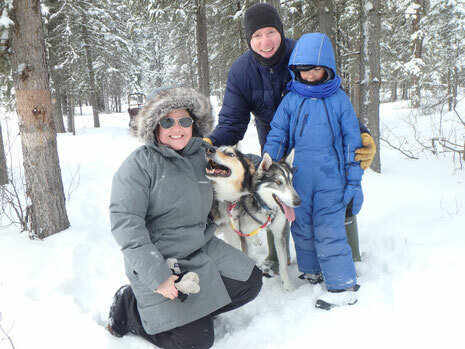 Klondike Ventures is a family owned Adventure Company specialized in dog sledding. We bring over forty years of teaching experience with all ages and group configurations in outdoor and adventure education to our clients. 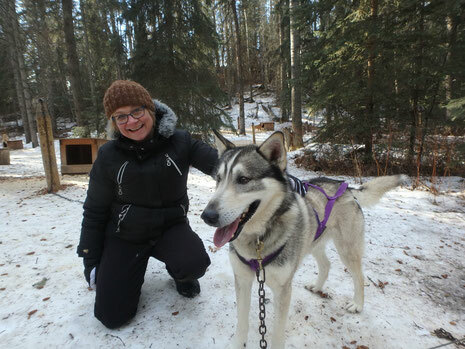 We have a genuine passion for our dogs and relish sharing their energy and joy for running with our clients. 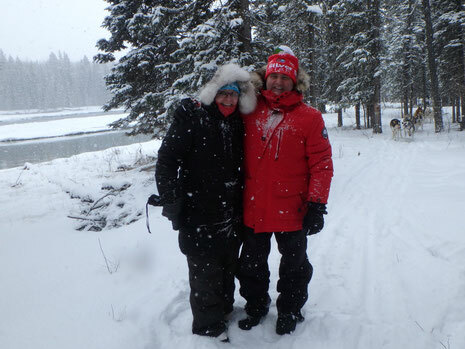 This allows many folks to tick this true Canadian winter experience off their bucket list. "Incredible experience. Fantastic hosts and food. 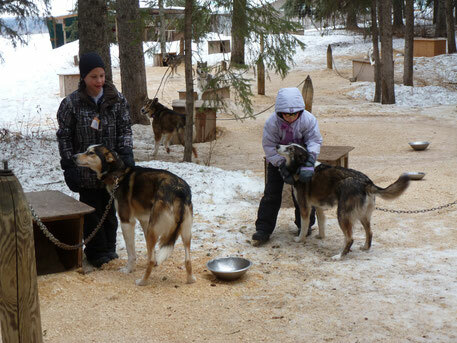 Cabin was beautiful and the dogs were amazing." "Absolutely wonderful!! 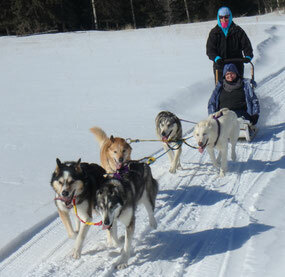 Can’t believe I can now say I have dogsledded!! Being able to connect with the dogs made it even more wonderful. Thank you so much." "Wow! This day will go down in history of my life as one of the most fun & memorable. Driving dogs is a true art form. We have such respect for you, Jill and Jeff, and for the dogs. What joy to hang out with our wonderful new, furry friends. Thank you so much!" "In 50 years this was the most exhilarating & exciting experience ever J Thank you." "One of the best experiences of my life. Thank you so much J." "Fantastic experience! Fresh snow, gorgeous dogs. Lovely place with fantastic hosts!" "Amazing Adventure. The passion Jeff and Jill have for their dogs is absolutely heartwarming. The cabin is so beautiful & cozy. We will definitely be back. I love all the dogs! Can’t wait for next time." "Amazing experience with amazing people. Hands down one of the best experiences we have ever had! Thanks Jeff and Jill." "Incredible experience. Great hosts and great dogs." "Thank you! What a beautiful adventure. Love your sweet dogs. J !!" "Well words cannot express how incredible this experience was!! I am utterly in love with your ‘Woofas’. If I could stay I would! Beautiful property, great hosts & fabulous interactive day. It was worth every cent. I had a ridiculous grin on my face the entire time and I totally understand Boris’ excitement, cos I felt exactly the same. "Just an amazing time. Never stopped smiling. Great ride, great view. Definitely will recommend." "So much fun! Beautiful scenery & beautiful dogs! Crossed off a bucket list item! Thank you!"